Amazon has approximately 1 million hadoop clusters to support their risk management, affiliate network, website updates, machine learning systems and more. Amazon launched a promotional offer in 2011 – “Amazon pays shoppers $5 if they walk out of the store without any purchases.” Interesting? Amazon rewards its customers with a $5 off, for those who use the Amazon Price Check Mobile App – to scan the products in store, take a picture of the product or perform a text search to find the lowest prices. The app also prompts the customers to submit the in-store price for the products through the app which helps Amazon know if it’s offering the best prices to its customers ensuring that it is ahead of its competitors. Amazon is collecting intelligence and valuable pricing information (big data) from its competitors. Amazon uses big data to operate effectively in a fast-paced and competitive e-commerce environment where price and online advertisements dominate. NFL’s Atlanta Falcons use GPS technology and collect the data to analyse the movement of players during practice sessions. Leveraging analytics from the data, it helps the coach create efficient plays. The video game industry has grown from 200 million active users to 1.5 billon players across the world. Companies like Electronic Arts, Riot Games are using big data for keeping a track of game play which helps predict performance of the play by analysing 4TB of operational logs and 500GB of structured data. Sports brands like ESPN have also got on to the big data bandwagon. Top sports brand Nike leverages big data analytics to develop ecological designs for its products, including a dye technique that requires no water. According to IDC, the amount of data will increase by 20 times - between 2010 and 2020, with 77% of the data relevant to organizations being unstructured. Organizations in every industry are increasingly turning to Hadoop, NoSQL databases and other big data tools to attain customer delight which in turn will reap financial rewards for the business by outperforming the competition.81% of the organizations say that Big Data is a top 5 IT priority. There are several industries employing various big data use cases to achieve business success by analysing massive amounts of unstructured data to gain actionable insights. The Healthcare industry is one of the biggest users of big data and Hadoop applications to manage and analyze massive amounts of complex, patient data. The big data universe is filled with conversations, customer reviews, feedbacks and comments. With increasing number of customer communication channels like social media, product review forums, etc. –it is important for organizations to understand and analyse what customers say about their products or services to ensure customer satisfaction. Big data and social media channels together help in analysing customer sentiments which gives organizations a clear picture on what they need to do to outperform their competitors. 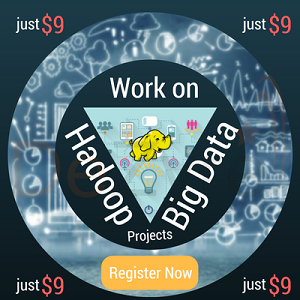 Organizations leverage big data through various commercial Hadoop distributions that help them analyse comments people make on social media websites or reviews people leave on various forums. This enables organizations to immediately respond to any positive or negative comments accordingly. Big data analytics not only helps organizations respond quickly to emerging problem but it also helps them effectively connect with their customers and get a better understanding on what product and services their customers find to be valuable. The outcome of sentiment analysis is less biased and can be helpful for advertising programs, marketing programs and product development. Airline companies are using sentiment analysis to analyse flyer tracking experience. Large airlines like Delta, monitors tweets to find out how their customers feel about delays, upgrades , in-flight entertainment , and more. For example, when a customer tweets negatively about his lost baggage with the airline prior to boarding his connecting flight. The airline identifies such negative tweets and forwards to their support team. The support team sends a representative to the passengers destination presenting him a free first class upgrade ticket on his return along with the information about the tracked baggage promising to deliver it as soon as he or she steps out of the plane. The customer tweets like a happy camper rest of his trip helping the airlines build positive brand recognition. Thomson Reuters uses sentiment analysis gained from Twitter data for its trading platform and Eikon (a financial solution by Thomson Reuters) market analysis. Financial experts can gain competitive advantage by analysing the twitter sentiment data by tracking specific tweets from various companies and people. Users of Eikon application can intuitively identify trends and any potential signals from massive amounts of unstructured data. This helps financial professionals get an overview on the number of positive and negative sentiments related to any given company. Sentiment analysis along with other advanced big data analytics solution helps the financial professionals spot the financial market and any events impacting the company as they happen. US based retailer Macy’s collects big data about customer preferences and interests based on seasonality, price range, demographics, colour, geography and various other characteristics. The analytics systems then measures the positive and negative sentiments expressed on social media by customers about a particular product to apply predictive analytics, that helps identify novel opportunities and forecast trends that can impact their business. For instance, through sentiment analysis of big data Macy’s finds out that people who are sharing tweets about “Jackets” are also making use of the terms “Michael Kors” and “Louis Vuitton” frequently. This information helps the retailer to identify what brands of jackets should be offered discounts in their future advertising campaigns to attract customers. Macy’s analytics systems are empowered to predict what a customer wants by segregating customers to gain their attention and keep them engaged until the interactions lead to purchase of the product. Salesforce product Radian6 analyses social media conversations to identify customer trends. Radian6 identifies conversations that happen on social media about a particular company, its products or its competitors. This social media data is analysed for sentiments, trends and demographics by aggregating negative, positive and neutral sentiments. The sentiment analysis helps social media managers streamline workflows easily while responding to hundreds of messages every day. 48% of organizations use big data to unlock meaningful insights from customer behaviour data. The beauty of big data lies in understanding the customer behaviour. Organizations are harnessing the power of big data through behavioural analytics to deliver big value to businesses. Organizations that use behavioural analytics to predict customer behaviour have just gone up tenfold in adding value to their business. Amazon has mastered the recommendation of products quite some time back based on customers interest and various other companies like Spotify, Pinterest and Netflix are following the same suit. Bank of America rewards program named BankAmeriDeals rewards its customer with different cashback offers by analysing their previous credit and debit card purchase histories. Target employs behavioural analytics to predict life changes their customers are going through such as divorce, marriage and pregnancy. Leveraging big data analytics, Target identified 25 products like vitamin supplements, unscented lotion which when analysed collectively helped in determining a pregnancy prediction score. Thus, based on the prediction score for each woman retailer Target sent promotions that were focused on baby related products. This helped retailer Target boost their sales of baby products after the launching their novel advertising campaigns based on the shopping behaviour of customers. With 225 retail outlets, Nordstrom generates petabytes of data from its 4.5 million Pinterest followers, 300,000 Twitter followers and 2 million likes on Facebook. Their analytics system monitors customer behaviour by tracking – How many people enter the store, which section they walk in, how long they stay at the store and for how long they shop in a particular section. This helps Nordstrom decide what products should be promoted to which customers when and through what advertising channel. Nordstrom is providing its customers a personalized shopping experience by analysing the shopping behaviours of its customers. With more than 34K local restaurants serving 69 million customers across 118 countries , 62 million daily customer traffic, selling 75 burgers every second, $27 billion annual revenue- McDonald's is using big data analytics to gain lot more insight to improve operations at its various stores and enhance customer experience. McDonald’s analytics system analyse data about various factors such as wait times, information on the menu, the size of the orders, ordering patterns of the customers to optimize the operations of its restaurants at specific locations. Retail chain Kohl’s pushes personalized offers to user’s Smartphones when they enter the store. Kohl’s tracks the browsing history of customers and sends them offers based on their browsing history. If a shopper is lingering in the Trousers section, Kohl’s provides offers to the customers for the trousers they searched on their website but never bought. Customers generally have an increased probability to respond to an offer when they receive it at the moment of purchase while they are shopping, thus helping Kohl’s earn a sale. With increasing customer acquisition costs, it has become important for organizations to target marketing promotions effectively through customer segmentation. The information about a customer comes from various sources like transactional data, social media, etc. Organizations correlate the profile information of customers’ behaviour on social media websites, purchase history - to reduce the customer acquisition costs by targeting their customers with personalized offers that they would be interested in. 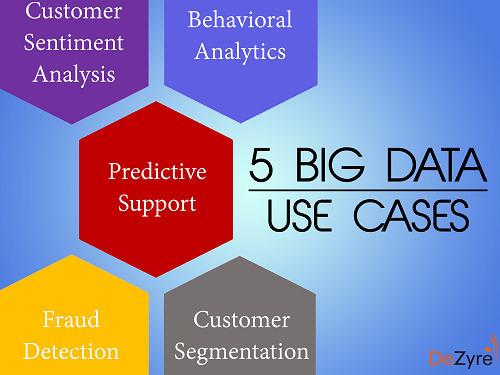 Companies have been successful in reducing their customer acquisition costs by 30% through big data analytics. A Harvard Business Review publication stated that organizations have attained 70% improvement in their conversion rates by targeted marketing promotions. Time Warner, the giant media company operates in 15 different markets and has close to 14 million customers of which 7.9 million are subscribing customers. It collects approximately 0.6 TB of data every day. Time Warner leverages big data analytics to create personalized advertising campaigns. Time Warner’s analytics systems combine local viewing data and demographic data sets with other data like voter registration and real estate records to understand the personalized preferences of their customers by gaining insights into political preferences, income and local environment. This helps Time Warner target their marketing campaigns and advertisements using various mediums such as websites, radio, television, social media and mobile apps. This helps Time Warner make further adjustments to their advertising campaigns based on how people respond to each of the advertising platforms. Just have a look at Amazon and see what products it recommends you to buy. The products recommended by Amazon are probably different for you and your friend. How do they do it? Every time a user logs into his or her Amazon account and makes purchases or browses various products on the site, Amazon collects this data and the next time the customer’s returns, they offer them products based on their previous purchase and browsing history. This also helps Amazon identify various trends amongst people who make similar purchases. For instance, if 75% of the people who buy an Apple iPhone 6s also buy a power bank, then Amazon offers power bank as a recommendation whenever somebody purchases an iPhone 6s. By segmenting the customers based on their interests and purchase patterns, Amazon provides people with more choices even if they are not looking to buy other products, thereby tempting them to make additional purchases. With 72 million users and the data for approximately 200 million users’ listening habits, Pandora is a name to reckon with in the music industry for providing music recommendations that people really love. Apart from the data like gender, age, zip code that users provide at sign up, Pandora tracks all the songs that a particular user likes and dislikes, from which location they listen, from which devices they listen and more - to provide customers with curated music catalogue based on interests and demographics. Businesses nowadays want to peer into the future to boost revenues. Industries are developing predictive models as a top priority by leveraging big data analytics. Utica National Insurance Group uses predictive analytics to monitor continuously incoming credit reports that can measure the risk appetite depending on a range of existing data rather than just considering the credit score alone. Volkswagen uses big data to support predictive marketing that helps Volkswagen build brand loyalty by boosting its aftermarket service revenues. Volkswagen analysed customer data from multiple sources, vehicle data and the qualitative notes written by technicians to entice Volkswagen owners to come to its service centres. Ayasdi is using 20 year old breast cancer data by running it through its IRIS product that combines machine learning and topology. Ayasdi is leveraging big data analytics to discover new relationships and new questions that can be answered with the help of the 20 year old dataset. Ayasdi developed topologies for leukaemia and breast cancer patients’ data by analysing the data to find similarities which can help in predicting and finding novel cancer treatments and therapies. Purdue University in USA is using big data analytics to increase the success rate of their students. The signals application leverages big data analytics to track the performance of students in different classes which helps in identify students with low performance. The predictive analytics system will provide data driven alerts to warn students notifying about their potential pitfalls that are likely to occur during their higher education experience in the university. Financial crimes, fraudulent claims and data breaches are the most common challenges faced by organizations across various industries. Fraud detection and prevention was a global problem across all industries impacting the business of all organizations before the advent of big data analytics. Big data analytics helps organizations detect, prevent and eliminate any kind of internal and external fraud. For instance, the analysis algorithms can alert a bank that a debit or credit card has been stolen by someone by identifying unusual behaviour patterns on the card transactions. 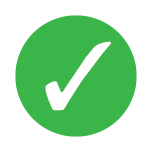 This helps banks to temporarily hold any further transactions on the card while they contact owner of the card. The credit and debit card processing giant VISA uses big data analytics to potential frauds. Big data analytics at VISA helped them identify $2 billion in probable incremental fraud opportunities and helped it address those fraudulent vulnerabilities before the money was at stake. The Insurance Bureau of Canada which represents Canada’s car, home and business insurers leveraged IBM’s big data analytic solution to identify fraudulent claims and show a red flag for suspicious claims. IBC analysed unstructured data of more than 233000 claims from past 6 years. IBC could identify fraudulent claims worth 41 million CAD. IBC states that big data analytics solution can help save the automobile industry in Ontario save approximately 200 million CAD annually. JPMorgan Chase analyses emails, phone calls, transaction data to detect the possibilities of frauds which would otherwise be difficult to detect. JPMorgan uses analytics software developed by Palantirto keep a track of employee communications to identify any indications of internal fraud. What other big data use cases you can think of that measure the success of an organization? Share them in the comments section below!